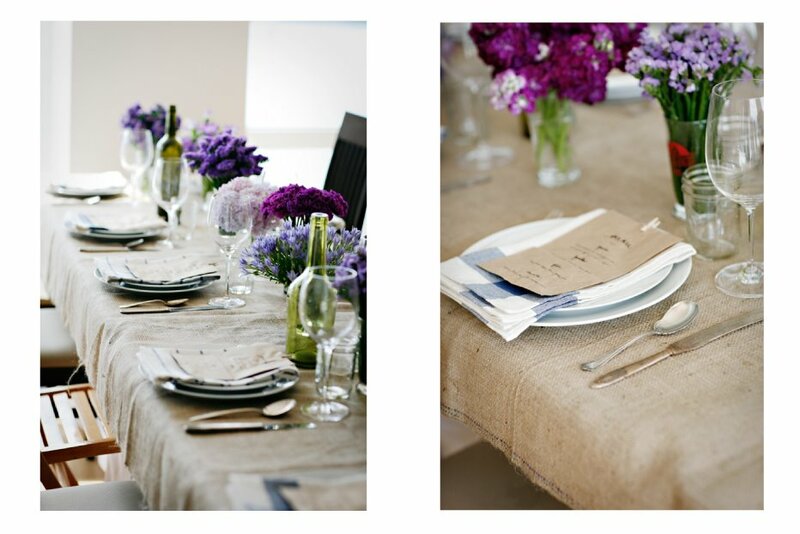 Our tabletop: Burlap tablecloths + blue & white napkins, cute little mini ball jar glasses + vintage silverware & gorgeous flower creations by Jessie = a rustic but classic tabletop, perfect for a farmer's market dinner, don't you think? The menus were printed on brown paper bags which we incorporated into our favors (more about these later) and we used these adorable little clothespins, which we are in love with! We'll be posting more about the food, menus & flowers this week and next...!